I went to Titusville on Monday to scout out locations for Wednesday morning's shuttle photo shoot. 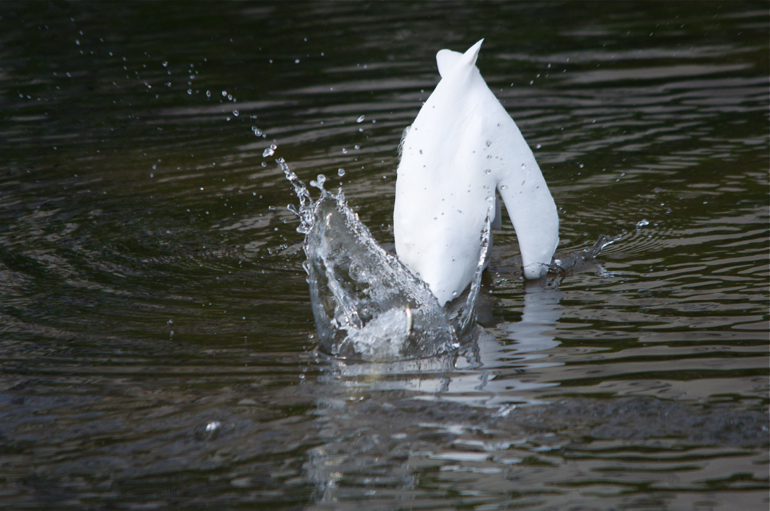 An egret was catching fish after fish in a little cove near Space View Park. 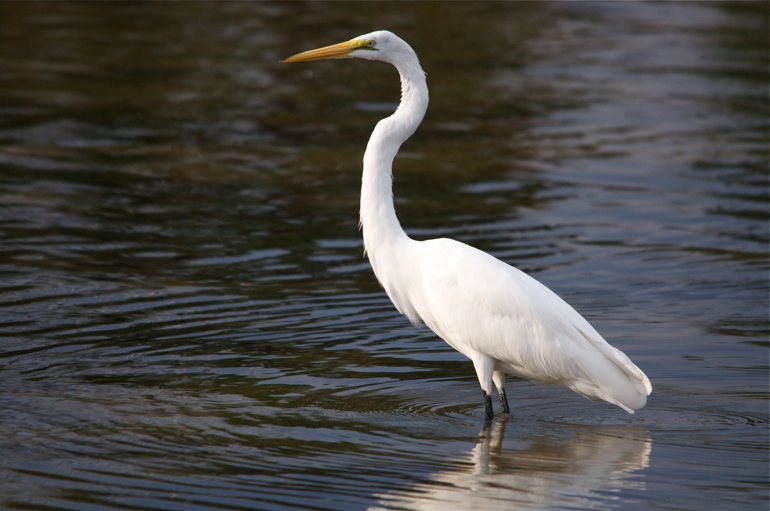 The egret frequently plunged its head under the water of the Indian River, coming up with food in its mouth more times than not. Another catch goes down the hatch. 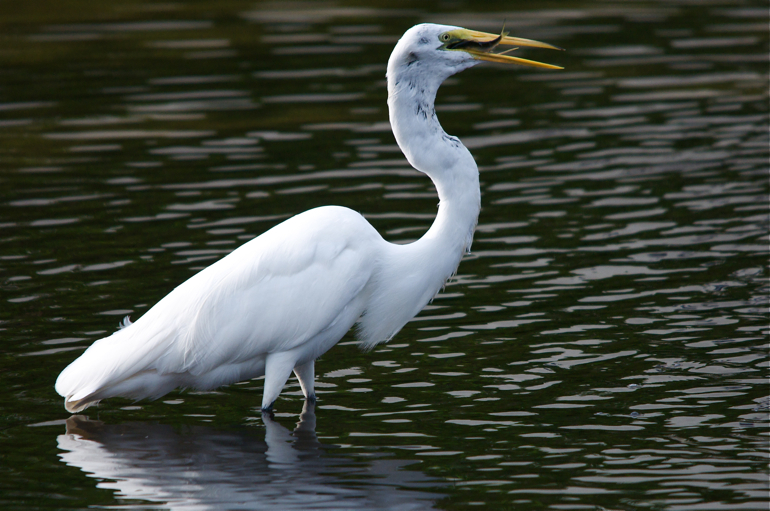 The egret turned around, allowing for much better lighting as the sun got lower in the sky. It never caught a fish when it was facing in this direction, though. 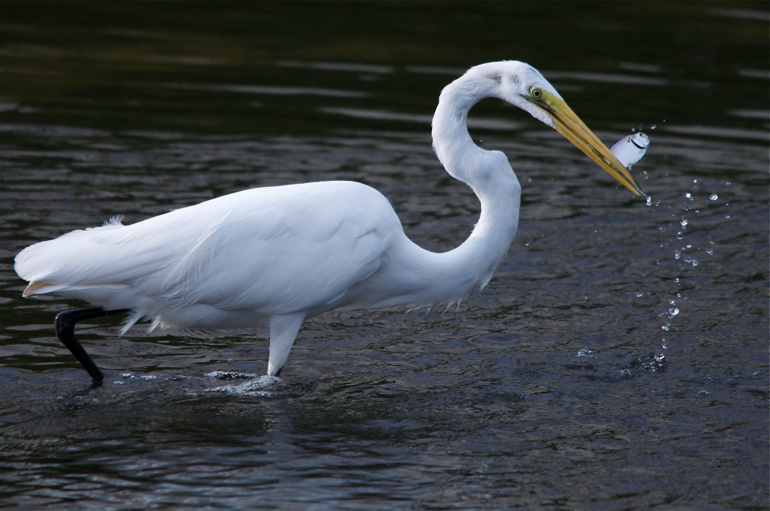 It stuck around until a human angler cast near the bird, which flew off and perched on a tree. The man didn't catch a thing. Eventually, he left, too.